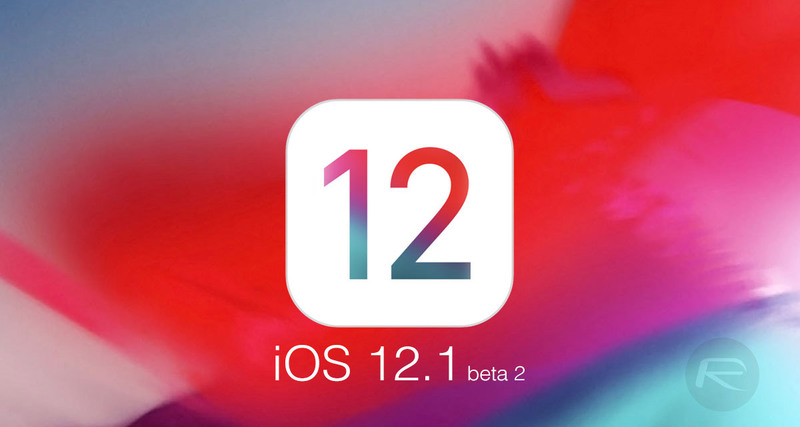 Apple has officially released for download iOS 12.1 beta 2 IPSW Links and OTA update out into the wilds of the testing community. Following on from initial iOS 12.1 beta release from two weeks ago, registered developers now have access to the second pre-release seed of the firmware and can immediately start testing on all compatible iPhone, iPad, and iPod touch hardware. iOS 12.1, as we already know, is Apple’s next step in its journey to make iOS 12 as good as it can be. The initial version was released into the testing community couple of weeks ago and introduces new features for certain device owners to sink their teeth into. As an example, iPhone XS and iPhone XS Max owners now have the ability to handle Depth Control live, directly in the Camera app. It also looks as though Apple could be planning in bringing back FaceTime for up to 32 people with the final release of iOS 12.1. Apple has also introduced a new Watch face in the Watch app to be used with a connected Apple Watch. Of course, in addition to the above, Apple has also been improving the platform by introducing bug fixes and under-the-hood improvements which are designed to stabilize the platform and eradicate any issues that were discovered after the launch of iOS 12.0 final. Like any good decent upgrade to an initial release, iOS 12.1 does a wonderful job of mixing some new features with improvements and stability enhancements to have a firmware version which is ultimately fit for purpose and designed to improve all compatible devices. If you already have the beta configuration profile installed on your iPhone or iPad then you can launch Settings and navigate to General > Software Update to grab the latest pre-released seed as an over-the-air installation, right now! Alternatively, if you much prefer working with beta software from a fresh installation, then you can grab the IPSW file from Apple’s Developer portal over at developer.apple.com and get it installed via iTunes on a test device as an entirely new installation. And remember, once you have the firmware installed make sure to report and all bugs or defects directly back to Apple with much haste. The company relies on this feedback to fix issues and ensure that the software is available for the public to consume when release time comes.